Funbox is going to take a break from it's regularly scheduled Blog (Flossing 101 – Lesson 1: My Mouth is Full of Blood!) Instead we're sending you an Internet postcard from a Recreational Vehicle parked just outside of beautiful Las Vegas Nevada! As I type this I'm watching my Father figure out how to empty the septic system. I'm not sure how well it's going but my brother just doubled over and ran away. 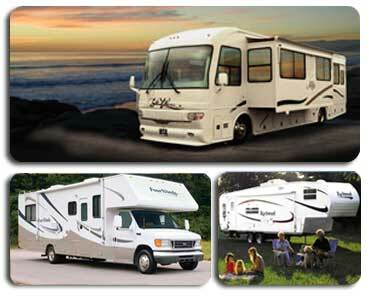 Yes, with an RV you can have all the comforts of home without the pesky inconveniences of modern sanitation and safety. Here at the RV park, every motor home has a tiny puddle of water under it that's vaguely unsettling, but we didn't come here for to see the RV park, we came here for the excitement that is Las Vegas (only a 20 minute cab ride away!) Our next Internet postcard will be from inside a Casino!